Even though we’re lucky enough to live in a state that doesn’t see as many below freezing temperatures or as much snowfall that other states do (looking at you, Wisconsin), we still need to ensure our outdoor lighting is well maintained before the colder months officially hit us. 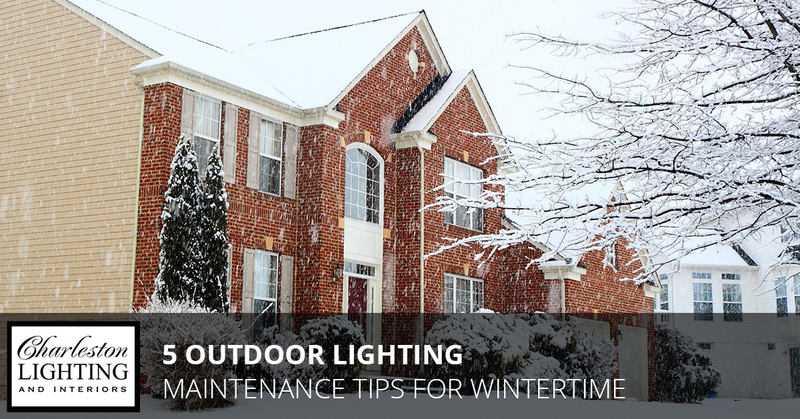 In this blog post, we’ll go over five outdoor lighting maintenance tips you should practice once wintertime hits. 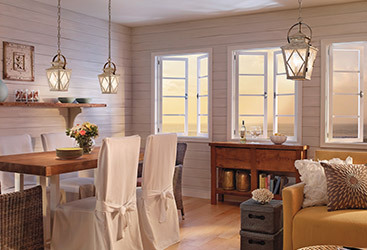 At Charleston Lighting & Interiors, we are well-known in the community for offering unrivaled customer service, lighting products from some of the best manufacturers in the nation and for our broad selection of outdoor lights. 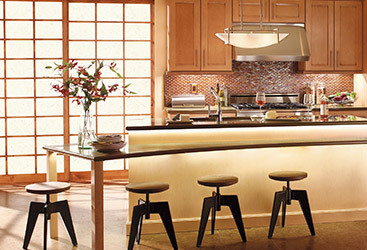 If you’re need assistance finding the perfect lighting for your home, schedule an appointment with one of our lighting experts today. Continue reading below for our five tips for maintaining your outdoor lighting during the winter to keep your lights looking fresh, bright and brand new all season long. Throughout the year, the glass on your exterior light fixtures collects debris, dirt and dust, which ultimately dims the illumination coming from your outdoor lights. Use a cloth and CLR cleaner to clean these lenses, and you’ll immediately notice how much brighter your lights will get. 2. Check For Any Exposed Wiring. Before any potential freezes occur, it’s important to ensure your outdoor lighting system doesn’t have any exposed wires above the ground. If you do notice any exposed wiring, we recommend calling a professional for assistance instead of tackling the issue yourself. 3. 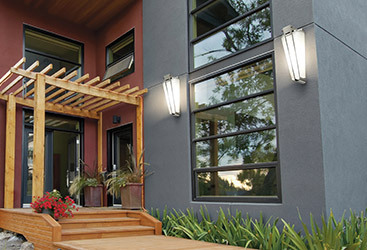 Adjust Outdoor Lights (As Necessary). It’s important to make sure your outdoor light fixtures are properly aligned to ensure they provide the necessary amount of light to your landscaping. 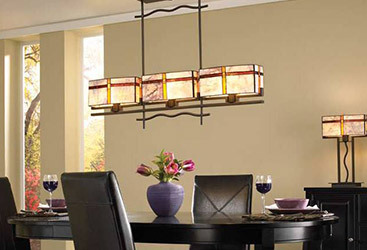 Winter weather can cause these fixtures to become crooked (especially wind). 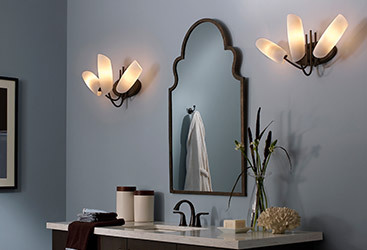 Take a few minutes to get these light fixtures back into place. Anytime there are extremes in the weather, the lifespan of your outdoor light bulbs can decrease dramatically. Check the perimeter of your home for any dim or completely shot lights, and take the time to replace them before it gets too cold outside. 5. Check For Any Moisture-Related Problems. Wet weather is known for causing problems related to homeowners’ outdoor lighting system outlets. If your outdoor outlets aren’t working as they used to, you might have to press the “reset” button on the outlet and ensure the cover is closed. If that doesn’t do the trick, call for the help of a lighting professional. 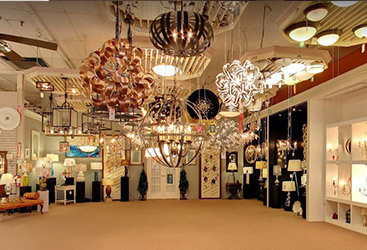 When it comes to outdoor lights in Charleston, our lighting showroom has the best and biggest selection for you to choose from. 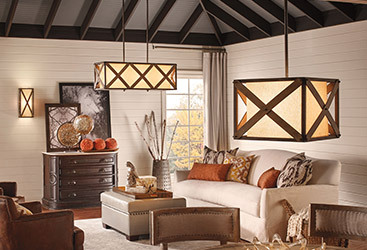 We’re proud to offer the largest lighting product selection in the Carolinas, and our knowledgeable staff can help you find lighting solutions that match your home’s unique sense of style — all while staying within your preferred budget. If you’re looking for extra tips on taking proper care of your lights or for entirely new outdoor lights, visit our Charleston lighting showroom today. 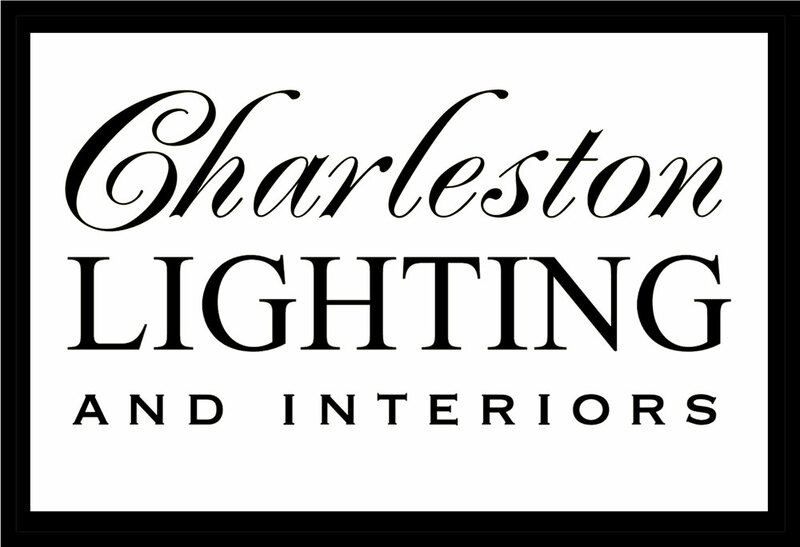 You can also reach Charleston Lighting & Interiors with your additional questions by calling (843) 790-8415.